Alfred Bekker’s site in Driffield. 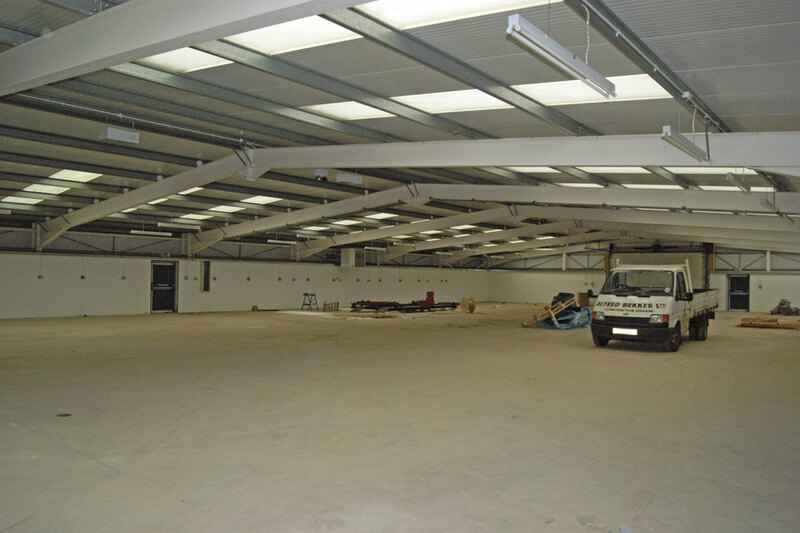 A large new facility is currently being built to house the planned future expansion. RolliBox with its seats folded away, making room for wheelchair spaces. The system with its seats in place. Some demonstration vehicles in AB’s large new facility, currently being built to house the planned future expansion. RolliBox with seats and a wheelchair space deployed. With 40 years of adaptation and conversion experience, Alfred Bekker (AB) are very passionate about wheelchair accessibility. Continually looking to push product innovation, AB linked with German seat manufacturer Schnierle, to release the RolliBox System, the most recent conversion of which was completed on a medium wheelbase Mercedes-Benz Sprinter. The RolliBox is an innovative wheelchair and passenger solution, allowing varying seating positions. 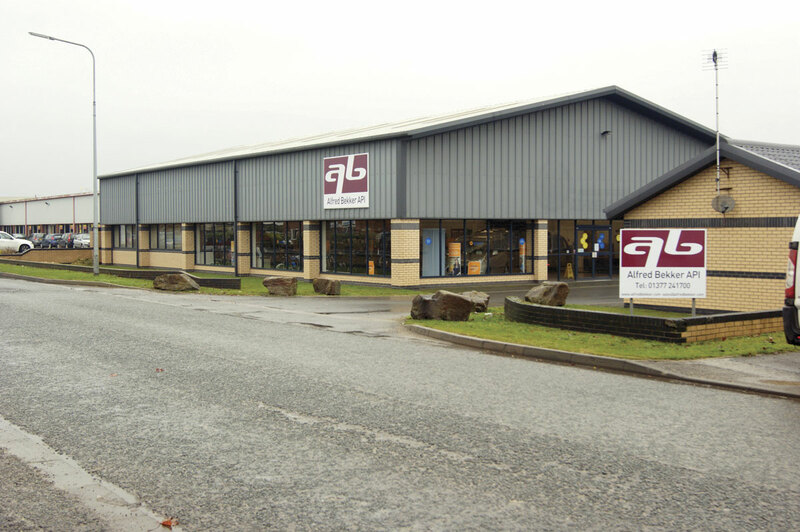 Chris Peat visited the converter’s Driffield base and met with its MD, Steve Shaw, to find out more. RolliBox is manufactured and supplied by German seating specialist Schnierle. Made in Germany, it is designed to transport both able bodied passengers and wheelchair users. 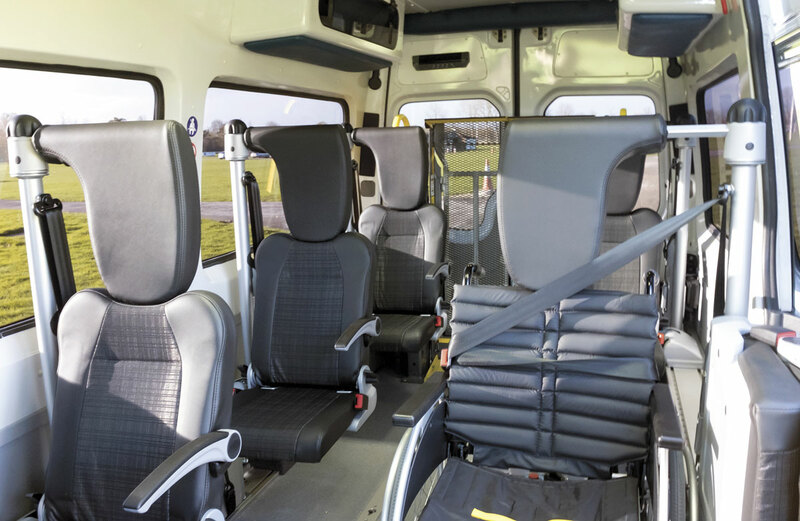 Perhaps most suited to Minibus and Community Transport vehicles, it features seats that fold away to the vehicle’s side when not required. When you looking into a RolliBox with the seats folded away, it looks like the interior of a van with an empty central area, allowing for the transportation of equipment or goods. The key equipment folds away neatly, to allow cleaning to be made as easy as possible. A tested, integrated four point tie down system means that up to four wheelchairs can be secured for travel. The seatbelts and headrests from the unused seats are utilised for those wheelchair passengers, to allow for extra protection. According to Schnierle’s website, a future expansion of the equipment for use on bus services is currently being discussed as the system has already been proven to work in coaches. The manufacturer has paid close attention to the ergonomic design of the fold away seats and their structures to ensure high quality. When a wheelchair boards, its secure fastening can be aided by floor-level fold-out support arms that are equipped with restraint straps. These arms slide into position in front of and behind the chair and are secured into the floor. They mounted hooks which keep the chair in place and are housed on railing to the side of the vehicle when not in use. Another benefit of the all in one seating system is that it can react to whatever passenger situation the vehicle finds itself in. 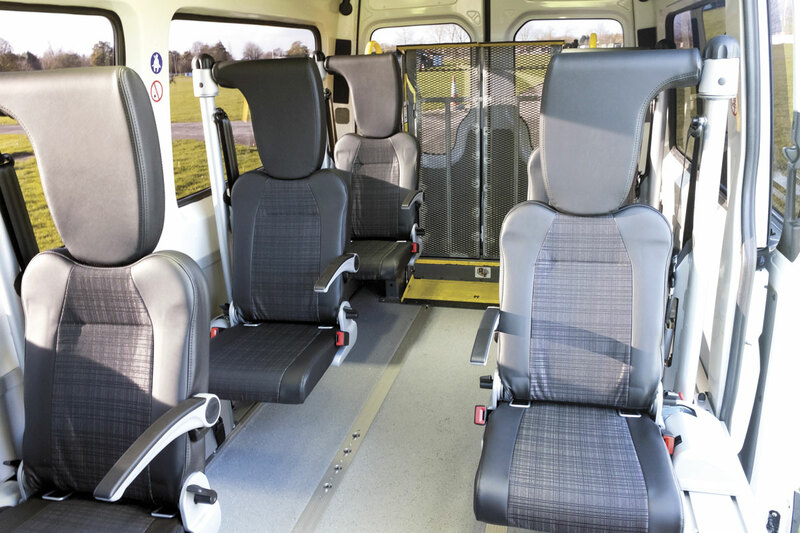 Being able to have seven seats, or four seats and two wheelchairs allows one vehicle to be used for many different services. The schnierle.de website showcases a four minute video of the system in operation and though it is German language it is pretty self explanatory. 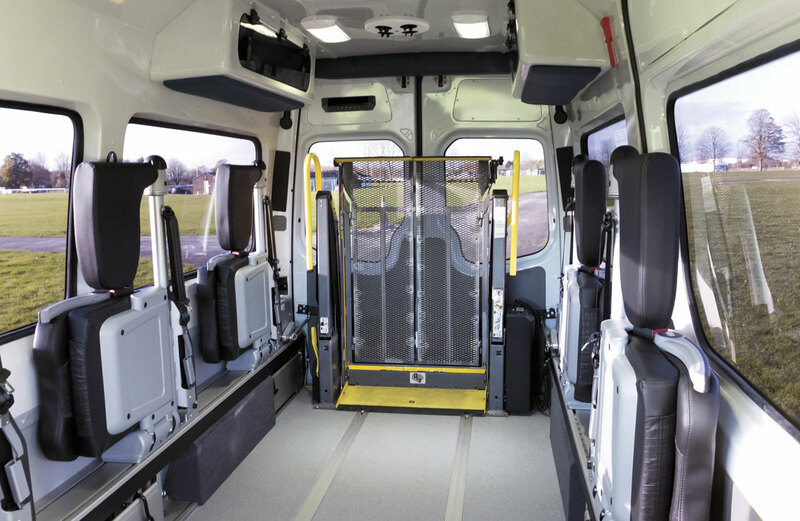 It shows the whole procedure of loading and securing a person in a wheelchair as well as preparing seats and belts for able bodied passengers. As well as Sprinters, Steve said RolliBox can be fitted to Crafters, Movanos, Masters, Transits, Boxers, Ducatos and Relays. The RolliBox Sprinter at AB was being used as a patient transfer service (PTS) vehicle. The vehicle had already been in service with the PTS provider, who asked Alfred Bekker to install the system so it could be trailed. In addition to RolliBox, it also features a Ricon tail lift with automatic door closers. Other requests for the system are already being received, as the company is to install a RolliBox on a Citroen Relay conversion following its work on the Sprinter. Steve has said that installing the system is not overly complicated, but to ensure his staff knew the best way of fitting, he sent them on a week long course at Schnierle in Germany. The first RolliBox completed by AB took a couple of weeks to install, having been carried out alongside other work on the vehicle as part of the refurbishment project. Normally, Steve said, the installation would take approximately one week to complete. When asked how it compares to other similar products on the market, Steve said, ‘I don’t think it can be compared. I don’t think there is anything quite like it on the market.’ He admitted that it may be more expensive than a standard minibus or Community Transport vehicle, but with its flexibility and ease of use, he thinks the advantages can outweigh this extra outlay to the right customer. Alfred Bekker’s activities were originally based around providing solutions for clients of Motability, the national charity that helps people exchange their mobility allowance to lease a WAV (Wheelchair Accessible Vehicle) or scooter. Being an expert in hand-controls, AB went on to develop WAVs, which became the core of the business for many years. AB currently still works closely with Motability, offering vehicles such as Ford Connects, Customs, Berlingos and Caddys, as well as providing hand-controls and other adaptations required by Motability customers. They have since widened their product range, allowing them to offer larger vehicles for the PTS or Transport markets. 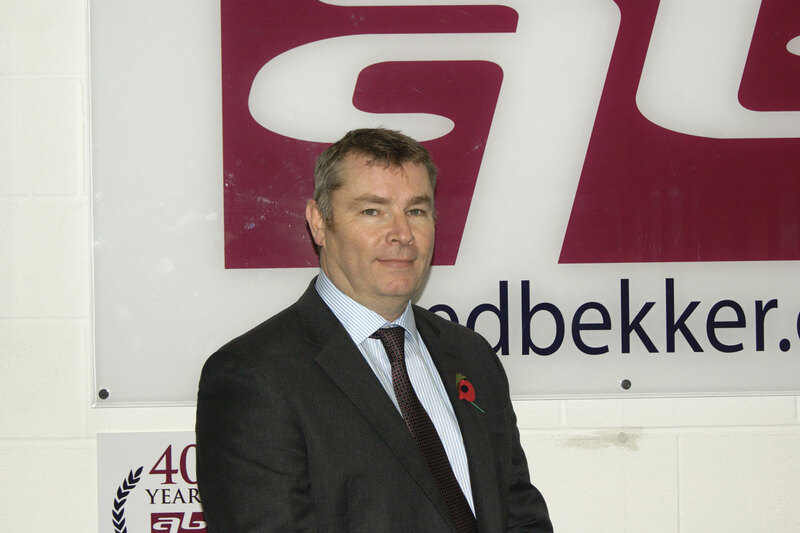 Steve has only been with the business for a relatively short space of time, having been brought onboard to help bring about this change and expansion. His employment is part of a positive five year plan by the company. Alfred Bekker was founded in 1975 by its namesake (who passed away in 2009), so this focus on growing the business comes at a momentous time for it, as it reaches its 40th year. As well as changes in the products being offered and the systems in place at AB, a large build has been constructed to allow for more work to be undertaken. A new marketing and advertising strategy has taken place, to help more people know and understand Alfred Bekker. The company can now be found on Facebook, LinkedIn, Pinterest and Instagram. In celebration of its 40th anniversary and the changes which have taken place, the company is planning to invite past and present customers to allow them to see the new Alfred Bekker. With the company’s focus on growing its business and entering further markets, Alfred Bekker hopes to become a familiar name within the CT and PTS sectors. With the business being the sole provider of RolliBox in the UK, it could be platform for AB to become a first choice in its targeted markets.